1. Before attempting to come off HRT get established on a comprehensive alternative programme. It is advisable to wait at least four to six weeks before reducing your HRT dose, by which time the benefits of the new programme will be kicking in. When you feel ready begin reducing the dose of HRT by as much as half – if you are taking a high dose pill or use a high dose patch, it is best to ask your GP to prescribe a lower dose for a month or two before attempting to come off HRT altogether. Continue on half dose HRT for approximately one month whilst at the same time following the Natural Health Advisory Service Programme closely, and then, when you feel the time is right, chose a day to stop using HRT. If you experience mild flushes during the next month or two, simply adjust the dose of isoflavones in your regime upwards until the flushes have abated and increase your intake of isoflavones rich supplements in the short-term. 2. Include plant oestrogen in your diet, particularly soya products incorporating So Good soya milk (which contains approximately 20 mg of isoflavones per 250 ml glass) with cereals or mixed with fruit as a fruit shake, tofu & silken tofu blended with fruit, golden linseeds, chick peas, lentils, mung beans, alfalfa, sunflower, pumpkin and sesame seeds and green and yellow vegetables. 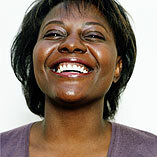 Refer to the new book Beat Menopause Naturally for further lists and details of how to use these products. 3. If you are aiming to overcome severe and debilitating symptoms at the time of the menopause you will need to consume at least 100 mg of isoflavones per day initially, combined with the other important aspects of the NHAS programme which are outlined in the book Beat Menopause Naturally. This will enable you to emulate the Japanese in their consumption of daily phytoestrogens, without making too many changes to your Western diet. 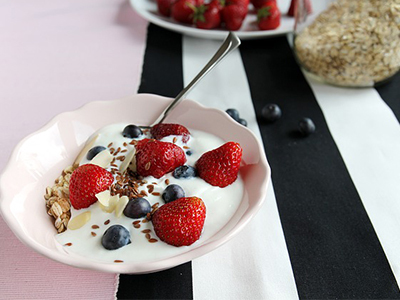 Apart from a phytoestrogen rich breakfast, have a “Phyto fix” later in the day, either as a snack or as a dessert. Try a phyto rich fruit shake made with So Good soya milk, or a fruit whip made with silken tofu and soft fruit in the blender. 4. Over spicy food, hot drinks and alcohol can aggravate flushes, so let your hot drinks cool down and keep alcohol to a minimum whilst going through the menopause. Alcohol tends to knock most nutrients sideways anyway, and this is definitely a time to conserve essential nutrients. 5. Drink plenty of liquids, preferably the equivalent of six glasses of water daily, preferably cold as it may help to take the edge off a flush. Let hot drinks cool down and use decaffeinated varieties and herbal teas. 6. Make sure you consume a nutritious diet including plenty of foods rich in both calcium and magnesium such as milk, green leafy vegetables, unsalted nuts and seeds, whole grains and bony fish like sardines or whitebait. Plus avoid fatty foods, keep refined sugar to a minimum making sure you have plenty of wholesome snacks at hand and use salt substitutes or herbs to flavour food instead of ordinary salt to avoid bloating. 7. Take the isoflavone rich Promensil, red clover supplement, daily, as it has been shown to significantly reduce hot flushes and night sweats as well as many other menopause symptoms including vaginal dryness, in numerous clinical trials around the world over many years, and at this time is regarded as the best natural product for menopausal symptom relief. 8. Aim to exercise for at least half an hour five times per week – you need to do weight-bearing exercise that is also aerobic. The benefits are a healthy heart, strong bones and an increased feeling of well-being. 9. Try to spend 15-20 minutes relaxing each day to keep the stress levels down and the flushes at bay. Research shows that these simple measures will reduce hot flushes by as much as 60 per cent. 10. Look after your skin by using the good creams and consider Arkopharma Age Minimising Face Cream as clinical trials show that it improves the collagen content of the skin and significantly reduces wrinkles. Arkopharma also produce a Phyto Soya Vaginal Gel and Omega 7, both of which help to improve the quality of the vaginal lining whilst at the same time encouraging the cells once again to produce mucous. Further details about Maryon Stewart’s natural approach to menopause can be found in her new book, The Natural Menopause Plan, published by Duncan Baird Publishers, which is available from bookshops and Amazon. 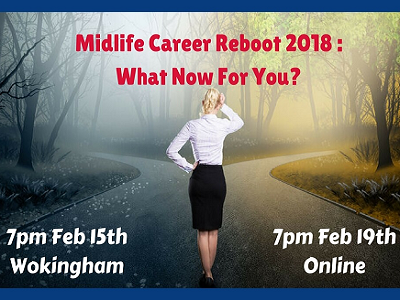 15/02/18: Midlife Career Reboot 2018: What Now for You?